There's no need to spend too much many on downloading a vector design program that offers professional results. 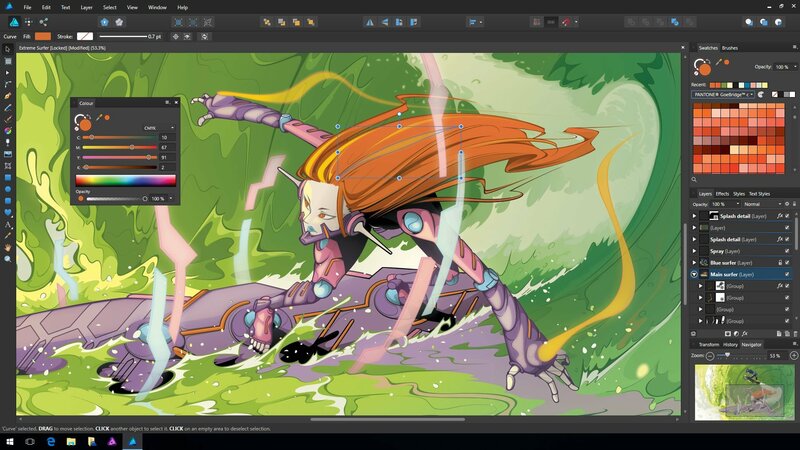 Affinity Designer is a versatile tool that allows us to work in this field of graphical creation with different purposes: advertising, art, web... It's now available for Windows after being highly acclaimed on Mac. Use zoom at 60 FPS. Move objects in the correct Z direction. Make use of brushed and objects regardless of the size of the image. 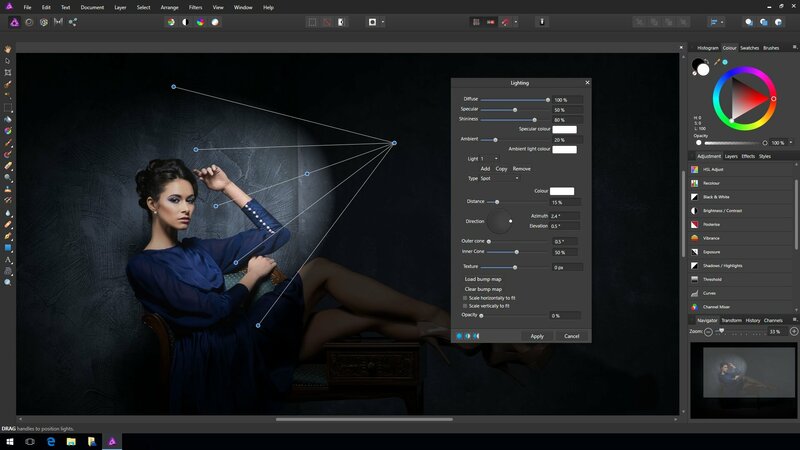 Compatibility with PDF, PSD, SVG, AI, Freehand and EPS. Professional CMYK, LAB, RGB and greyscale color models. Flexible text writing and editing. 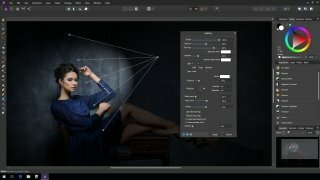 A graphical design tool with excellent features. 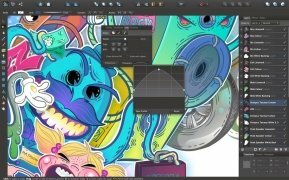 Here you'll find all the tools you need to work on vector design: from pens to color gradient functions, all the latter presented on different menus that adapt to the user's workflow. In fact, flexibility and adaptability are the strong points of this software. You can create a fully customizable workspace in favor of productivity. It supports the simultaneous design of different projects and the layout of menus and tools can be arranged freely. 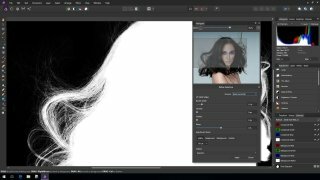 It's a program that requires a certain learning period, so downloading an Affinity tutorial is never a bad idea. Affinity vs Illustrator: which one's better? When dealing with this kind of tool it's hard to choose one or the other... we're talking about programs of certain complexity in which our decision will probably depend on our mastery of each one of them. 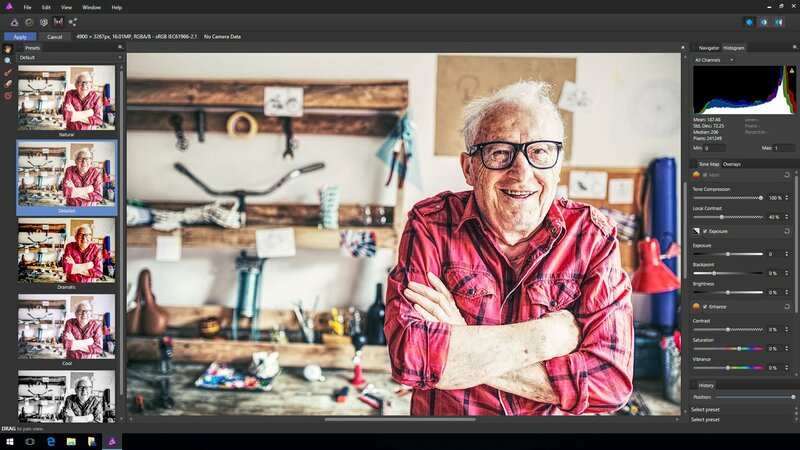 This Designer can be purchased for an affordable price, while Adobe's renowned high-quality program is included within the company's Cloud suite. We're talking about two very decent tools although Adobe's version is considered a standard among designers.